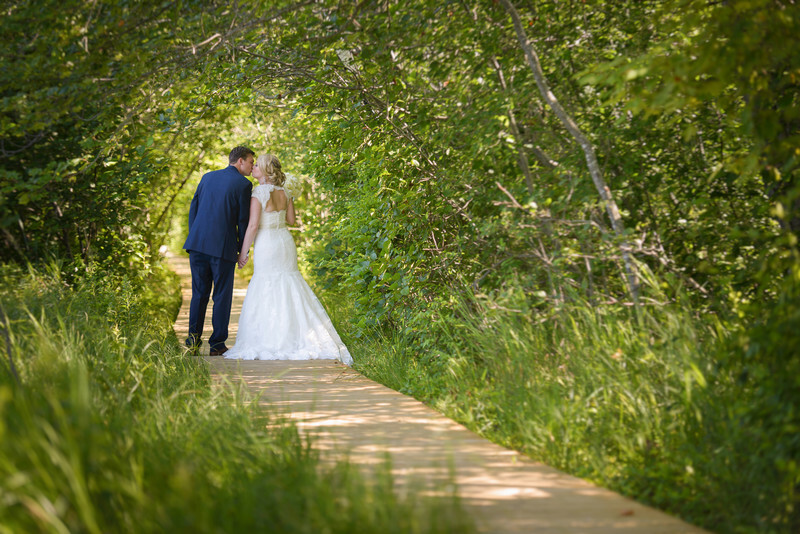 A newlywed couple walks to the beach from the wooden boardwalk at the Inn by the Sea. The board walk takes you through the leafy green woods to enter Crescent Beach in Cape Elizabeth, Maine. The Inn by the Sea is a premier wedding venue on 5he Maine coast. It has great views of the Atlantic Ocean, a sandy beach and meticulously manicured grassy lawns all on the property. As a Maine wedding photographer an all in one location is ideal to minimize travel between events. Location: The Inn by the Sea, Cape Elizabeth, Maine.